Your child’s Blyth Academy journey begins in our Middle School program, where academic excellence and compassionate student care intersect to prepare our youngest students for success. It is often overwhelming to think of our grade 6–8 students as university-bound, but they indeed are! The Blyth Academy Middle School Program immerses students into an academic setting reminiscent of the very best post-secondary institutions; very small class sizes (averaging under eight students), roundtable discussions as opposed to desk-based lessons, and rich, experiential learning opportunities outside of the classroom introduce students to this new way of learning. Students will begin to gain confidence as they transition from the more rigid school environment to the Blyth Academy model, where students are encouraged to participate, where every seat is a front row seat, and no-one is left behind. The class environment is highly interactive as teachers are able to fully engage in meaningful discussion and give individual attention. The Blyth Academy model has been proven year after year to increase academic success through constant feedback and the ability to customize learning to the individual, something that is impossible in a larger classroom setting. Participation builds confidence, self-esteem, and empathy, valuable life skills that form the foundation of a happy, engaged, and academically successful child who is heard and understood. Your child’s journey at Blyth Academy Burlington continues in our Foundations Program, where our experienced and empathetic faculty build on the students’ academic success while adding a complete and comprehensive life skills curriculum. This program allows our students to move to the rigorous academic challenges of Grades 11 and 12, armed with an excellent education, as well as the practical skills necessary for success after high school. Our students also gain the ability to think independently, analytically, and critically. The academic year of the Blyth Academy Burlington Foundation Program is divided into four terms of ten and half weeks. This cutting-edge restructuring of the traditional academic school year has dramatic benefits for our students. 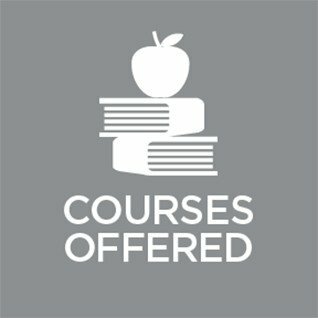 Our Foundations students will enrol in only two courses per term, as opposed to a more traditional semester setting (four courses a semester) or a full-year setting (eight courses daily spanning the entire academic year). This structure allows our students to manage their academic workload much more effectively. 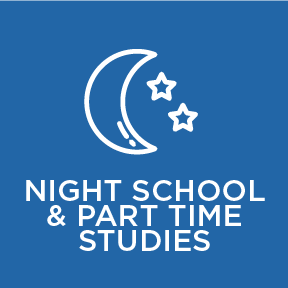 Two-hour classes, taken five days a week, provide more time for in-depth review and for individual attention from the teacher to our students on an ongoing basis. Students will select their courses at the start of the school term and are given their schedule and room assignments. The life skills portion of the Foundation Program is taught in their third “spare” period. The Foundations Program provides unparalleled opportunities for personal and academic growth within the intermediate division. It seeks to provide a unique offering to students in Grades 9 and 10 that challenges the traditional organization of curriculum development and delivery in the intermediate grades. Traditional academics subjects like Math, Science, English and Social Sciences at Blyth Academy Burlington will be fully integrated with actual student experience, unlike at many schools where each class is often confined to the classroom and disconnected from the real lives of students. In taking this approach the Foundation Program ensures a curriculum that changes with the times and thus remains perpetually interesting and relevant to students each and every year. Blyth Academy Burlington has developed local partnerships with the Art Gallery of Burlington to host art classes, The Ron Edwards YMCA for physical education, and Central Public Library for private study. Hands-on, experiential teaching in small classes engages students and produces the best results. Blyth Academy schools produce well-rounded, university-ready and life ready students by providing a full extra-curricular program as well as community-involvement opportunities in their neighbourhoods and around the world. A student’s journey at Blyth Academy Burlington culminates in the University Preparation Program for Grades 11 and 12. Here, preparing for post-secondary education is the primary focus, with an increased focus on developing opinions, interpreting information, and independent learning. Our newly renovated classrooms are designed to encourage participation in small group settings by accommodating regular round-table discussions. In our University Preparation Program students can take advantage of all of our Burlington campus facilities, including our comfortable student lounge, kitchenette facilities, student clubs, and intramural sports teams. Our students select their courses at the start of the school term and are given their schedule and room assignments. The third period is free for independent study, assignments, extracurricular activities, guidance counsellor visits, independent exercise programs, sports training, or other homework. Students entering Grade 12 at Blyth Academy Burlington may only need six credits to graduate. 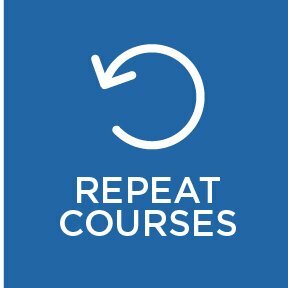 In this case, Grade 12 students take two courses in Term 1, two courses in Term 2, two courses in Term 3, and then are eligible to graduate in April, leaving time to enjoy a victory lap, one of our exciting travel programs, or take a part-time job in advance of departing for University. If desired, Grade 12 students can take two Blyth Academy Summer School credits during July and August at our Burlington campus before the start of the school year, allowing for graduation and all of its benefits as early as February.